The Eagles completed just 60 minutes of (somewhat) lackluster football on Monday night in a 26-24 loss to the Atlanta Falcons and already quarterback Sam Bradford is banged up. 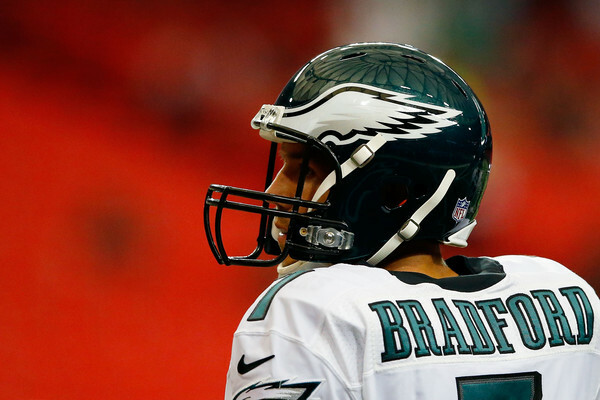 Following the game, Bradford went to get a “precautionary” x-ray on his ankle. The oft-injured quarterback, who is coming off of consecutive seasons with torn ACLs, should never be associated with the precautionary due to his injury history. According to Eliot Shorr-Parks of NJ.com, Bradford walked without a limp when heading into the X-ray room at the Georgia Dome in Atlanta. Along with two interceptions, Atlanta’s defense recorded eight quarterback hits on Bradford in the win and it appears the beating took its toll. One down and only 15 more to go, Sam. 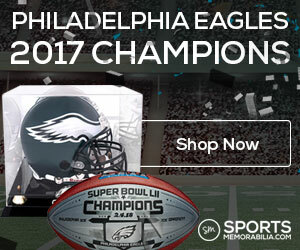 Eagles Win The Super Bowl!